Starring: Chadwick Boseman, Michael B. Jordan, Lupita Nyong’o, Martin Freeman, Andy Serkys. Infinity war is upon us and there is only one movie left before Thanos demonstrates us who the true daddy is here. 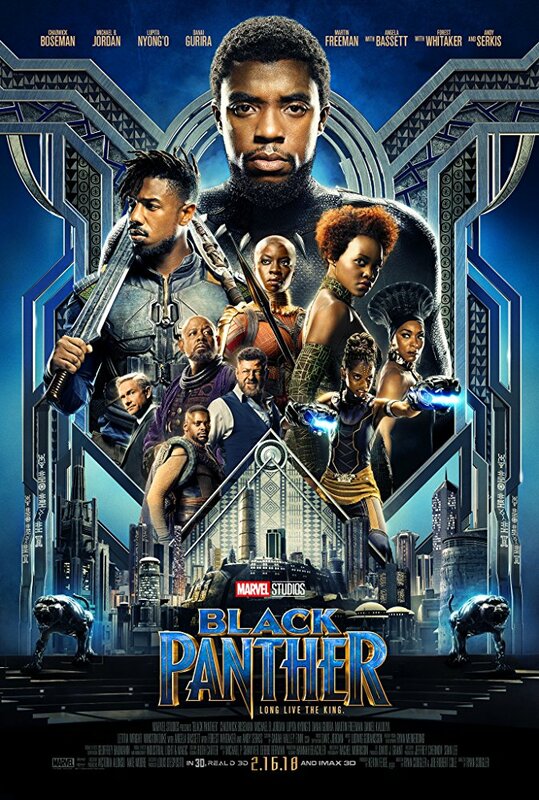 Black Panther doesn’t really show us a lot prior to the most hyped movie ever, nor does it reveal the Soul stone which is apparently yet to be found by Thanos; nevertheless, this is a great movie for T’Challa to begin with. Of course, the first time we saw Black Panther in action was Civil war but he was a secondary character there, even though he definitely had his moments. In his own movie, Black Panther finally lets us know who he is, what this mysterious Wakanda is and who is perhaps going to replace Tony Stark as the tech genius in the MCU. The film is very beautiful, views and camerawork somehow remind of The Lord of the Rings, which is probably the best compliment a cameraman can earn. But this is a Marvel movie and all of them make our eyes happy. As for our brains, which is usually the weak link in the MCU, the plot is decent but not totally flawless, and the villain is FINALLY good! Killmonger’s ideology and the fact that he was not just the destroy/enslave-the-world-because-I-want-so type of guy but way more complex and maybe even thoughtful are definitely the right direction for Marvel. He does have his philosophy and he can be a good warm-up before Thanos strikes. All in all, as a hero Black Panther is somewhere between Iron Man with his technology and Captain America with his strength and abs. As a human, T’Challa is very Steve Rogers-y, always willing to do the right thing. Chadwick Boseman is very good, supporting cast is entertaining, the world is beautiful, the story is good, and the villain is probably second best to Loki – what’s not to love about the new character’s kickoff? Go see the movie if you haven’t.